“We’ve received a lot of requests from Ghostfish fans in Eastern Washington and Northern Idaho, and are thrilled to share our award-winning beer with them,” said co-owner and Director of Sales & Marketing, Brian Thiel. “After meeting, sampling and reviewing the Ghostfish portfolio, we are excited for our partnership. We are confident, given the quality of the beer, of our mutual success,” stated John Ioane, Senior VP of Sales, The Odom Corp.
“We couldn’t be happier to expand our relationship with The Odom Corporation,” stated Thiel. Odom West currently distributes Ghostfish beers throughout key areas of Western Washington. Odom East will handle distribution responsibilities throughout Eastern Washington and Northern Idaho. “They have wholeheartedly embraced our craft beer portfolio and are as excited as we are about growing our presence here in Washington and Northern Idaho,” said Thiel. For more information about Ghostfish Brewing, visit ghostfishbrewing.com. You can also follow Ghostfish on Facebook at Facebook.com/ghostfishbrewingcompany and Twitter @ghostfishbrewco. Ghostfish Brewing is the first and only dedicated gluten-free craft brewery located in Washington state. Since opening in February 2015, Ghostfish Brewing has been exploring the uncharted waters of never before-used brewing techniques and testing the limits of what can be created without wheat, barley, rye or oats. Ghostfish brews five year-round beers; Watchstander Stout (2015 GABF® Gold Gluten Free Beer), Vanishing Point Pale Ale (2015 Gold U.S. Open Beer Championship Gluten Free Beer), Shrouded Summit Belgian White Ale, Grapefruit IPA (2016 Gold U.S. Open Beer Championship Gluten Free Beer, 2015 & 2016 GABF® Bronze Gluten Free Beer), and Peak Buster Double IPA. 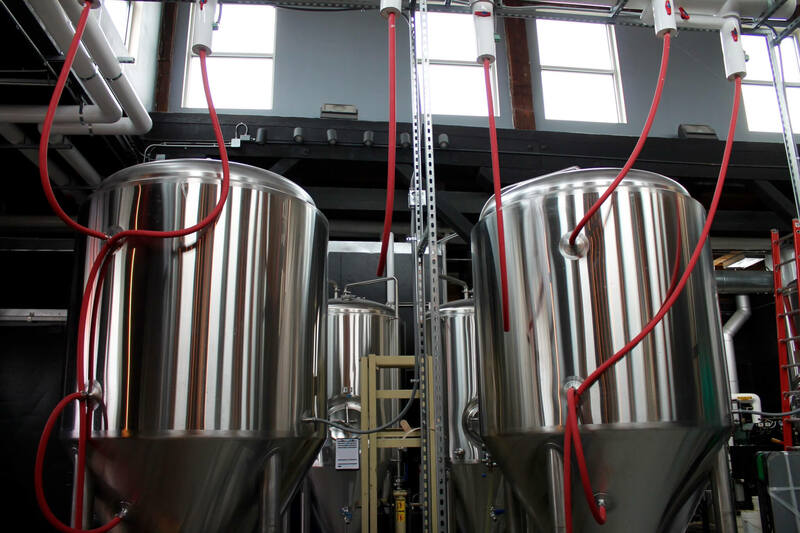 The production brewery and taproom are located at 2942 1st Ave. S., Seattle, WA. Founded in 1934, The Odom Corporation is a third generation, family owned business and one of the Northwest’s leading beverage distributors. Odom represents hundreds of national and local craft, domestic, import beer and soft drink brands throughout Alaska, Washington, Idaho, and Oregon. The Odom Corporation was recognized as the Brewers Association Craft Beer Wholesaler of the Year in 2016.